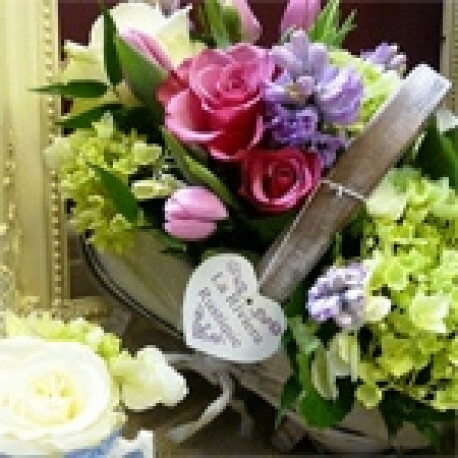 Beautiful flowers in a trug basket, this basket is ready arranged in a suitable basket and very easy to keep. Just add water! The image is for design choice only and the exact colours and flowers used will vary to provide you with the best gift on the day. Please specify any preferences when ordering. This gift may include lilies please state when ordering if you wish for them to be omitted from the design. The flowers for your arrangement will be hand selected by a florist from the Butterflies team on the day and transformed into a truly special gift. Please note Where our designs include a sundry item such as a vase or basket it may not always be possible to include the exact item as displayed. If such an occasion arises we will make every effort to replace the item with a suitable alternative.